Who can forget the iconic E-Type Jaguar? The most beautiful of sports cars from the 1960’s, boasting sleek lines, it was no surprise it was favoured by celebrities the world over. It certainly stamped Jaguar as a brand to be reckoned with. Even our very own James Bond commandeered one numerous times in his battle with super villains and at its release it was the fastest production road car available. Even the Enzo Ferrari showed it praise, saying it was the most beautiful car ever designed. Coming from the man who brought us a long line of stunning cars, is no mean feat. 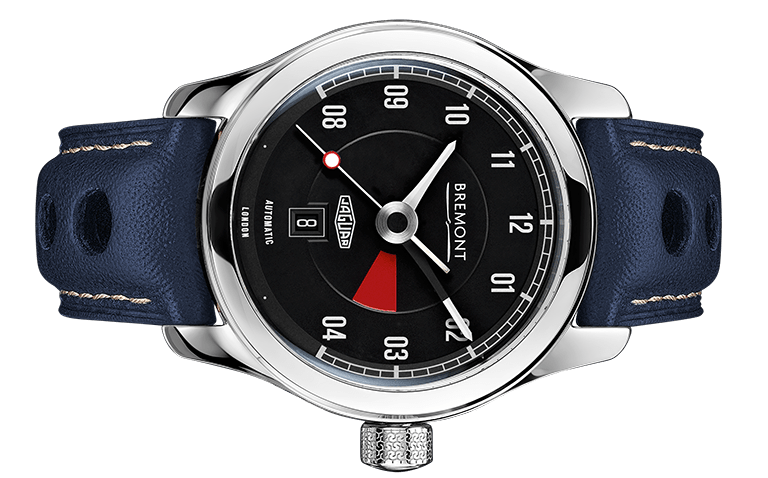 So now it comes to the watch brand Bremont to once again look fondly back at this very special car and release a watch collection celebrating its life. 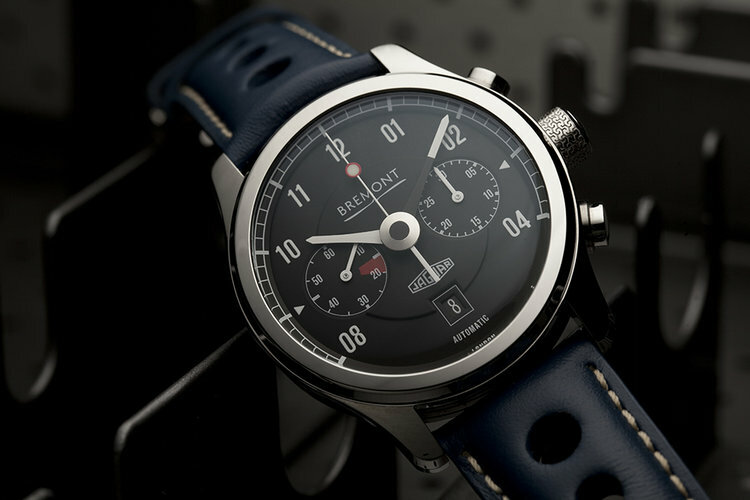 Bremont are a UK based luxury brand who demand only the very best in quality. They have released 3 watches for this collaboration, the MKI, MKII and the MKIII. 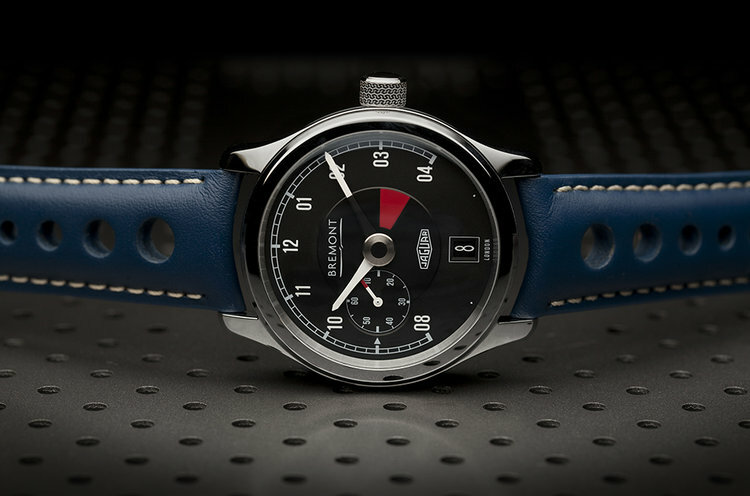 Originally Bremont created six limited edition time pieces in the style of the E-Type, and due to its huge success, they’ve taken the next step by having a more permanent production. They will still only have a limited run, but they will be replenished each year. Having slight design tweaks to that of the light limited edition, this watch still has that beautiful allure of having a mini classic car on your wrist. Just looking at the exquisitely designed face just takes you back to sitting in the classic car and its dashboard, instantly recognisable as its tachometre. Between the 3 and 4 O Clock section is a visibly striking red quadrant from echoing the design of the Jaguar original. There is a 2nd smaller dial on the face created specifically for the seconds. 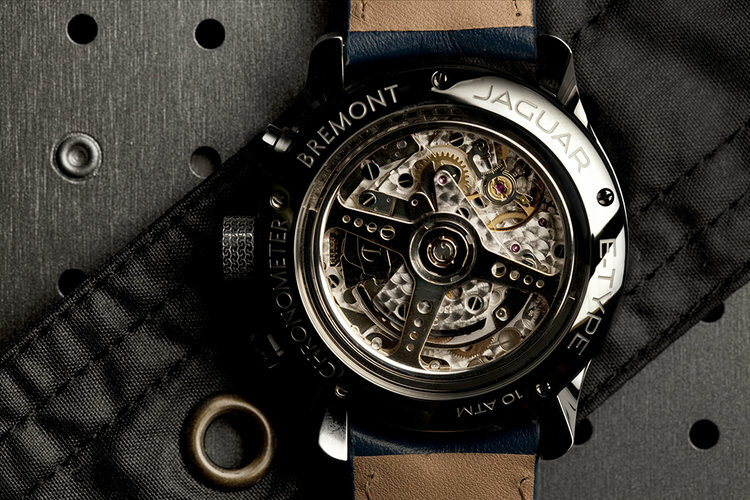 The watch is also blessed with Bremont’s new movement, the self winding BWC/01 which also includes the additional date. 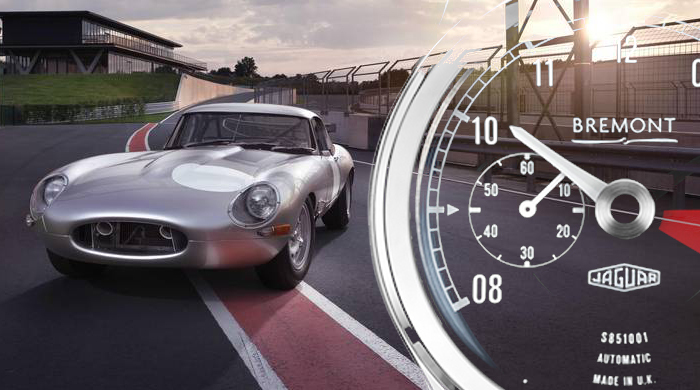 On the reverse through the view-able crystal glass, you can see the stunningly crafted movement, and exclusive to these pieces are the automatic winding weight designed in the shape of the 3 spoke E-Type Jaguar steering wheel, including the Jaguar head as its centre piece. The MKII is instantly recognisable as a nod to the glory days of the heyday of the car, striking similarities to the dashboard of the E-Type, with a stunning black face and carrying the original Jaguar Heritage logo with pride, with a specially crafted automatic function for this collection. There is a stand out red line on the 60 minute dial on the chronograph, paying homage to the Jag’s tachymeter. The MKII features an additional sub dial over the MKI, enabling the wearer to get a quick glimpse of the current minutes. Again like the MKI, upon flipping the watch over you will be delighted with seeing the amazing design works of the automatic movement through the crystal glass. The final watch in the collection is the most minimalist of the trio, with no additional dials on the face and also crafted with a slimmer case. 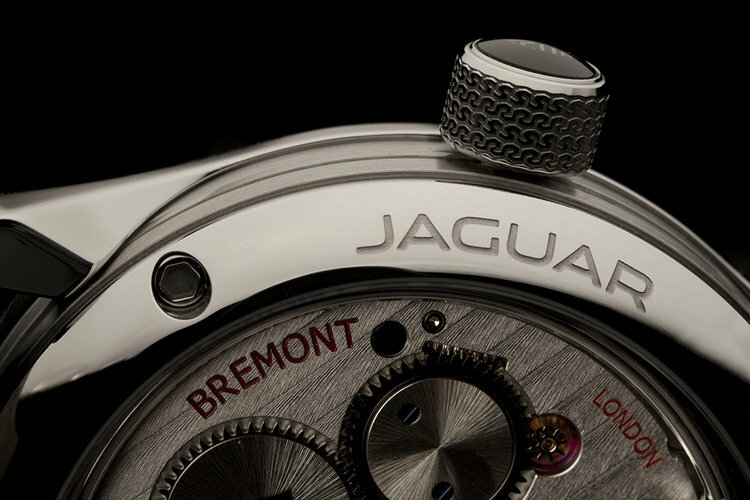 It also loses the glass backing on the case, instead replaced with a solid silver panel emblazoned with the classic Jaguar logo. But despite this simplified look, it is my personal favourite of the three. This watch also shares with the MKI and MKII the unique winding crown in the shape of the classic Dunlop tyre tread which was paired with the E-Type. 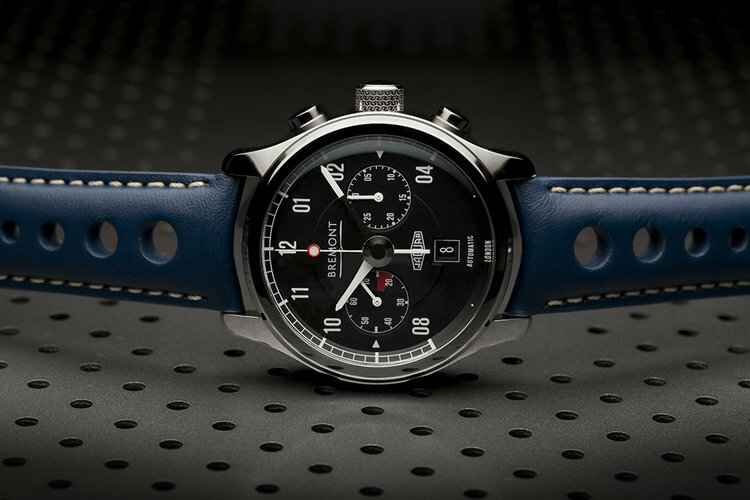 All three Bremont Jaguar watches come complete with two straps, a somewhat standard leather strap or the more unique racing look, with a perforated strap that just oozes a fantastic 1960’s look. Each time piece has a 43mm case which is designed and crafted in the UK featuring their world renowned anti shock protection, with their distinct Three-Part-Tip Trick technology. Take a look at the back of the watches below and let Fashion Runway Blog know what you think!